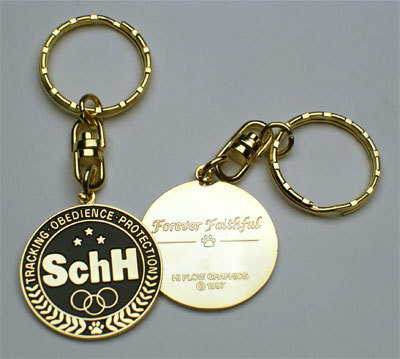 Keep track of your keys with a tag promoting Schutzhund, protection dog training. Tag is sturdy and stylish with a two-sided design. Back side, engraved "FOREVER FAITHFUL"